Crafthouse is one half of a D&D development at the top of the Trinity Leeds shopping development – the other being Angelica. 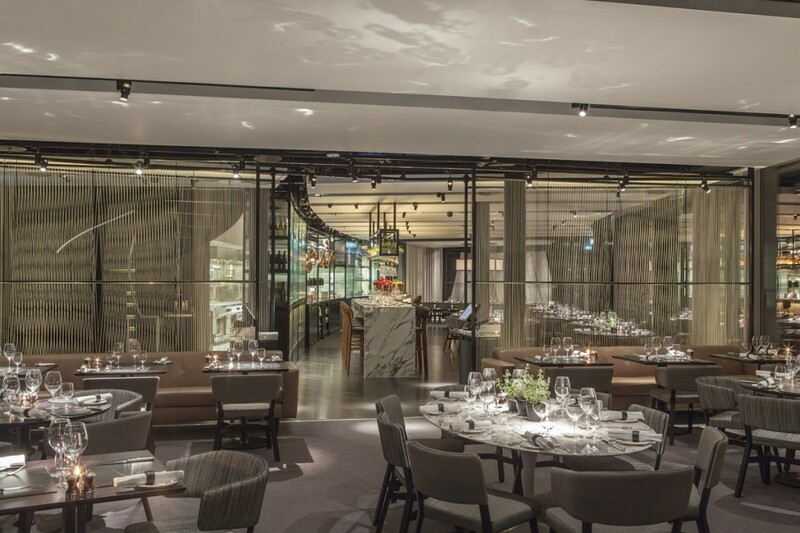 The brief was to create a modern, warm and elegant environment with the use of concealed lighting details and low-glare directional lighting to illuminate dining tables. The ceiling space is a collection of suspended rafts which the client insisted be kept as a blank canvas. Black track and spotlights, specified with glare accessories, were strategically placed in the dark voids between the rafts. This concealed the lighting while still effectively lighting tables. 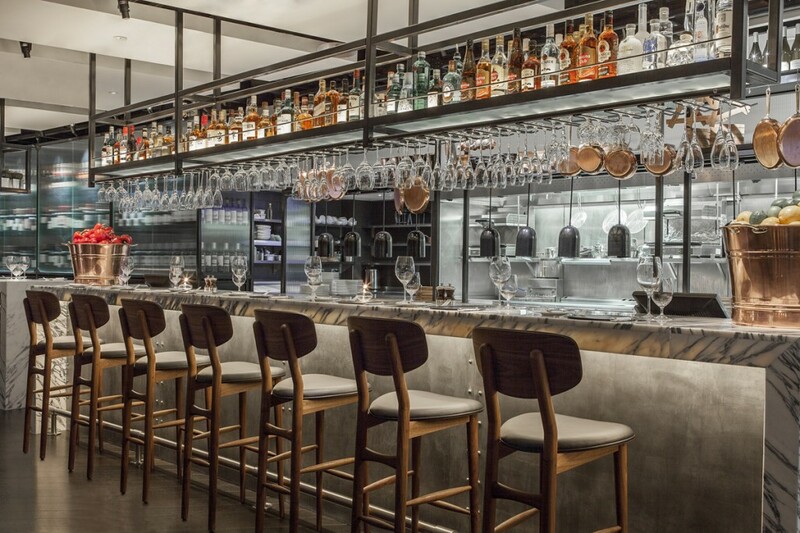 Concealed details and in-ground uplighting to the bar gantry, surrounding bar area and feature string room divider add an additional subtle level of light. 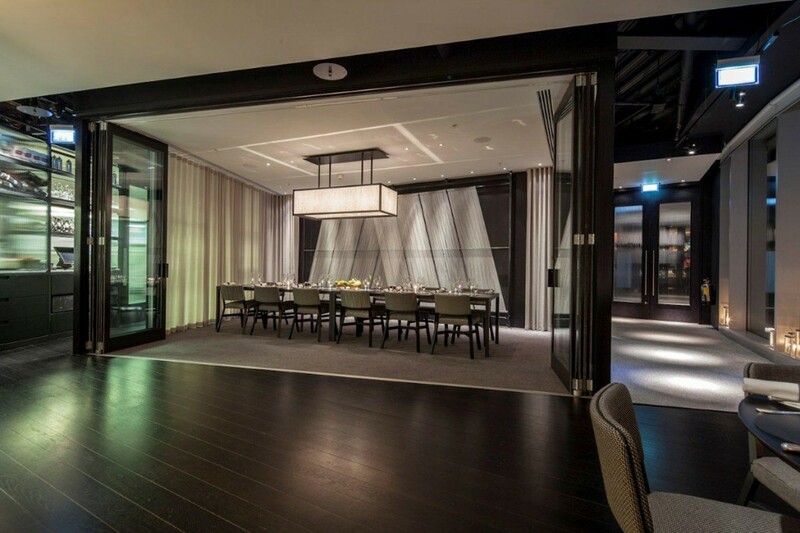 A bespoke feature fitting within the private dining room was developed in collaboration with Conran & Partners. 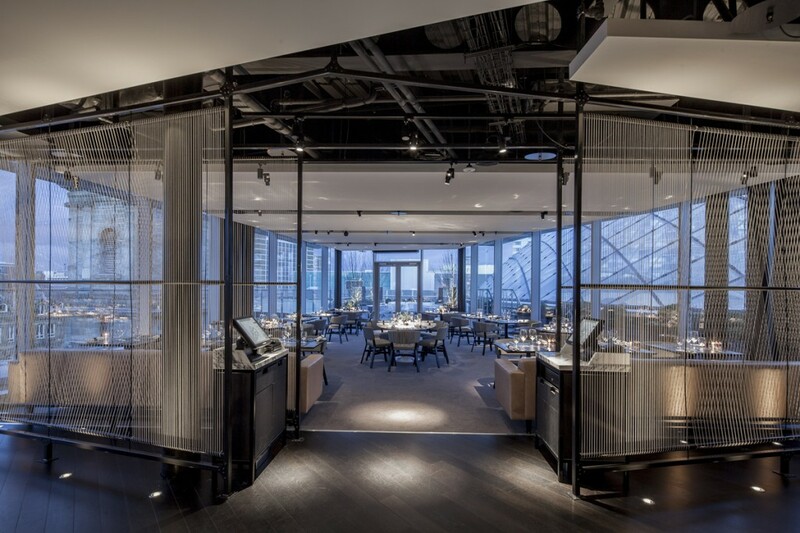 All LED lighting throughout the space is DMX dimmable to ensure smooth dimming to low levels, for a warm dining environment. 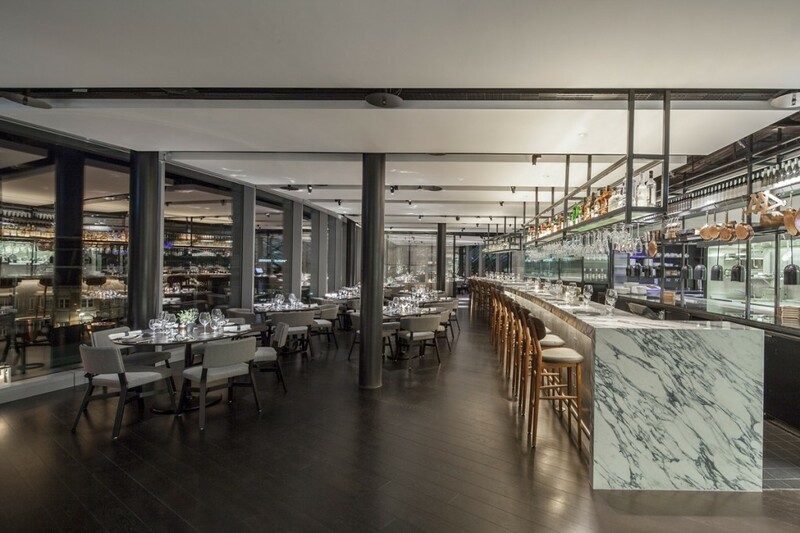 A comfortable atmosphere to dine in that evolves from day to evening, retaining ambience and keeping focus on the views from the top of the Trinity Leeds centre was achieved through the designed lighting scheme.